Voice Recognition: Talks and listens and remembers what your child saysthe two of them can have actual conversations! Style:Panda Who knew Smart could be so cute? 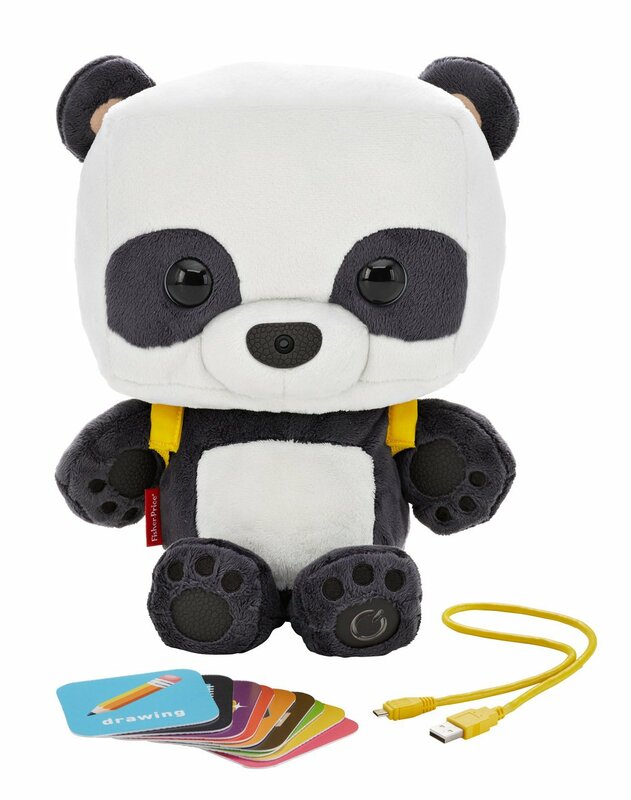 Meet Smart Toy Panda -- aninteractive learning friend with all the brains of a computer, without thescreen. The more your child plays with Smart Toy, the more this remarkablefurry friend adapts to create personalized adventures the two of them willlove! Sounds like the start of a true friendship one that will help yourchild grow socially and emotionally, too. And thanks to unlimited Wi-Ficontent updates through the free app, the fun keeps growing! What makes SmartToy so smart? Revolutionary technology! Smart Toy listens and adapts to yourchild to figure out their favorite activities. With the help of voice andimage recognition, Smart Toy recognizes your childs voice and his Smart Cardsso your child can choose what they want to do! And remember, with unlimitedWi-Fi content updates, theres something new to learn and do every day. BTWparents: NO PERSONALLY IDENTIFIABLE DATA is transmitted by Smart Toy. Goodnews, right?